When it comes to innovation, the world’s airlines rarely demand massive change from aircraft manufacturers. They want planes that will carry as many people and as much cargo as possible, while burning less fuel than previous-generation aircraft. But with a new program, announced last week, Airbus wants to help airlines change the calculation. Airbus seeks to introduce a new platform that could make it more practical for airlines to temporarily install coffee shops, gyms, yoga studios, children’s play areas, sleeping pods or bars. 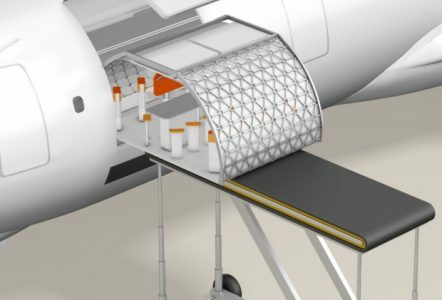 Through the program, which Airbus calls “Transpose,” an airline could reconfigure cabins for every flight. A carrier might add sleeping pods and an in-flight coffee bar for a long and potentially lucrative Airbus A330 flight from Los Angeles to Munich. But then the airline could replace the pods and bar with extra coach seats for the aircraft’s next flight to Mumbai, which is shorter and might have fewer high-value customers. To read more at Skift, click here.